I am a breast cancer survivor who explores the personal meaning of survivorship through the use of mask as metaphor mediated between animal and woman. The experiential component of this imagery, aligned with identification with the animal figure, is loosely based on animal-like creatures from Greek mythology who played a range of positions in the lives of the ancient Greeks, from devouring to helping. In these images, the deer/woman becomes a mythological figure and co-collaborator, an active participant in the meaning and interpretation of survivorship. 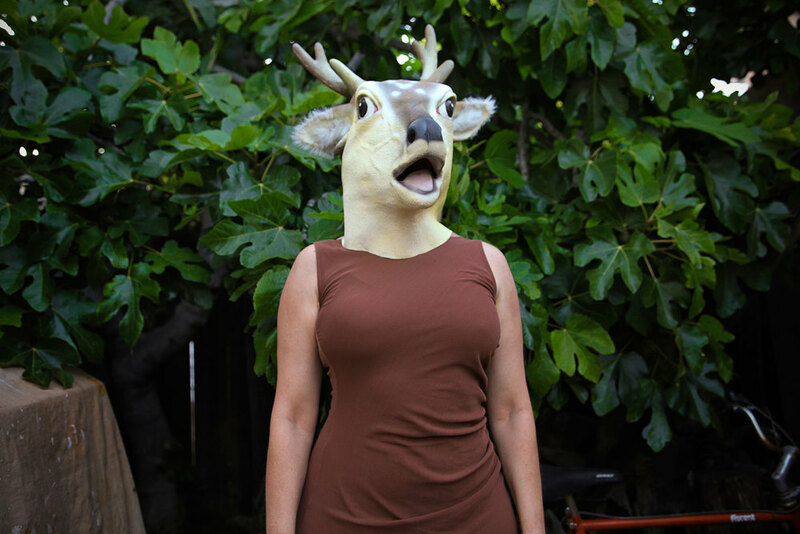 Performing in both nature and the domestic space, deer/woman as communicator and helper confronts issues of familia structures, navigating the personal, and redefining the space of a woman’s body. This project began in 2005 and continues to present.